If you're searching for a casual yet dapper outfit, opt for a navy denim jacket and Stone Island classic chino trousers from farfetch.com. Both pieces are totally comfortable and will look great paired together. For a smart casual getup, go for an olive puffer jacket and Stone Island classic chino trousers — these pieces fit wonderfully together. Mix things up by wearing dark brown leather work boots. 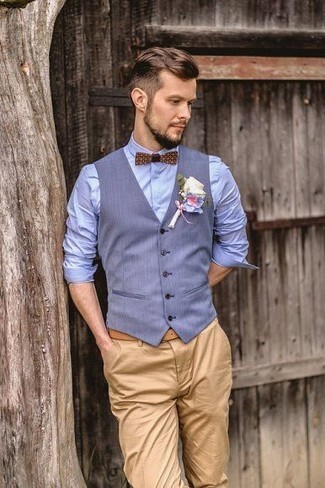 A light blue waistcoat looks so polished when paired with Stone Island khaki chinos. 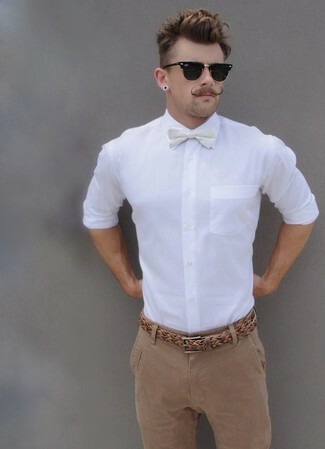 As you can see, being a dapper dude doesn't take that much the place of work. 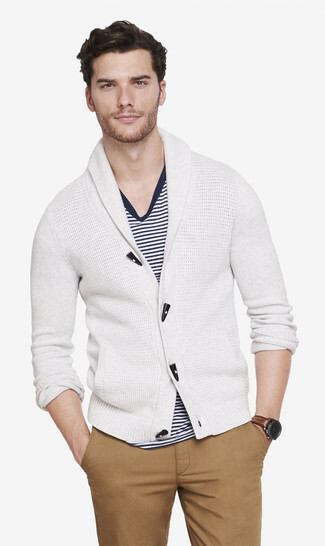 Just reach for a white shawl cardigan and Stone Island classic chino trousers and you'll look incredibly stylish. 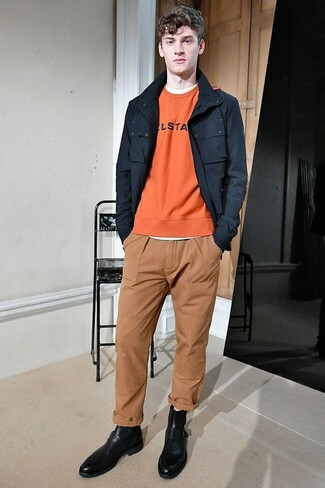 If you're hunting for a casual yet sharp outfit, try teaming a black field jacket with Stone Island classic chino trousers. Both pieces are totally comfortable and will look great paired together. You could perhaps get a little creative in the footwear department and elevate your outfit with black leather chelsea boots. 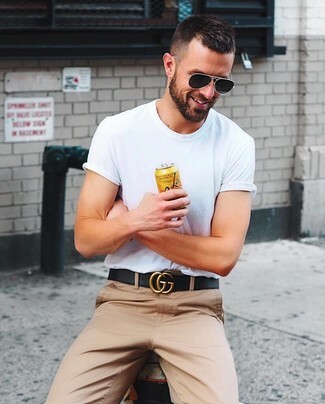 You'll be surprised at how easy it is for any man to get dressed this way. 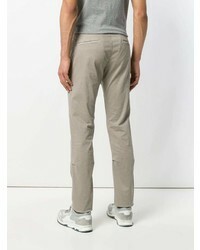 Just a navy blazer worn with Stone Island Classic Chino Trousers from farfetch.com. 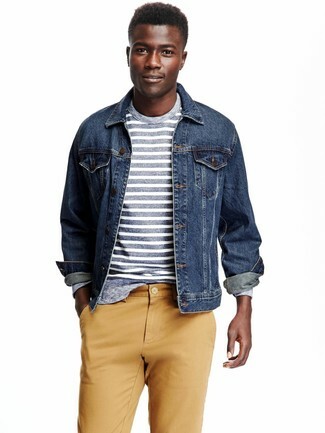 If you're clueless about how to finish, complement your getup with a pair of navy suede desert boots. Contrary to what you might believe, getuping sharp doesn't take that much work. 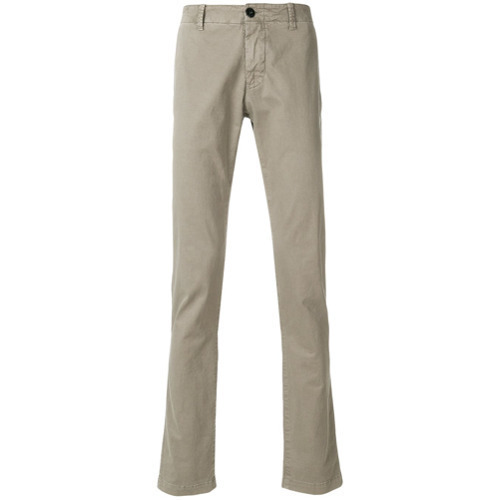 Just try pairing a white dress shirt with khaki chinos and you'll look incredibly stylish. 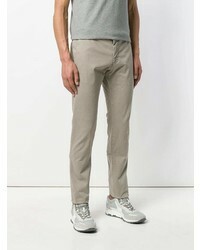 A white crew-neck t-shirt and Stone Island khaki chinos are a cool combo to keep in your casual repertoire. 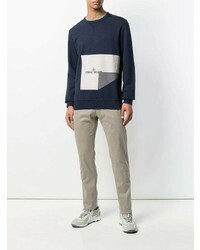 If you're looking for a casual yet stylish outfit, go for an olive long sleeve shirt and Stone Island classic chino trousers from farfetch.com. Both pieces are totally comfortable and will look great paired together.